It’s often said in the web design world that people don’t read on their computers; they scan. This is to say that when confronted with large amounts of information, people tend not to read and read. Instead, they take a glimpse and unless something pops out at them, they move on (and all the more reason to grab their e-mail address while you can!). Consider the subscribers to your e-mail campaigns. They get your messages in their inboxes along with lots of personal mail and junk, maybe while sneaking it in at work, or possibly with screaming kids in the background. If they signed up for your campaign, then surely they are interested in what you have to say. But in order to build on their interest, how you say it is just as important. Catering to the short attention span of your readers. The power of an autoresponder and follow up sequence is in frequency. Take advantage of this feature to develop a well-planned series of messages. Give your subscribers something powerful to graze on that they can digest rather than a feast that seems bloated. Send them to your website for more information. If you’re selling a product or service, your goal is probably to get them there to make a purchase anyway. Less is less. The smaller the amount of content you have in your messages, the fewer words or phrases the SPAM filters ISP’s use will have to find issue with. You really don’t want to say “Buy now!” fifteen times in an e-mail. Less is more too, since your messages mean nothing to your subscribers if they can’t even get them. Of course, nothing in the world is truly one-size-fits-all, and it may be that your subscribers are fully prepared for and are expecting a few comprehensive messages that outline your project. The bottom-line is to consider your audience: who they are and what they want from you. Not sure of what that really is? 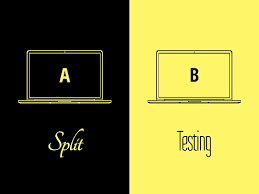 Split-test your messages to figure it out. It’s better than wandering around in the dark, for sake of your sanity and your success.